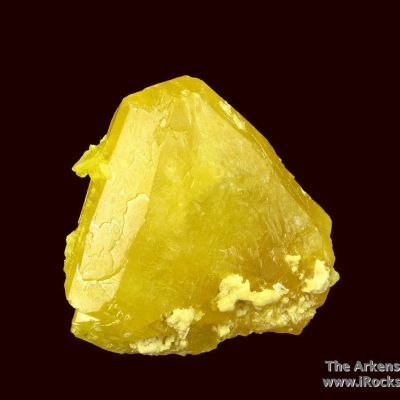 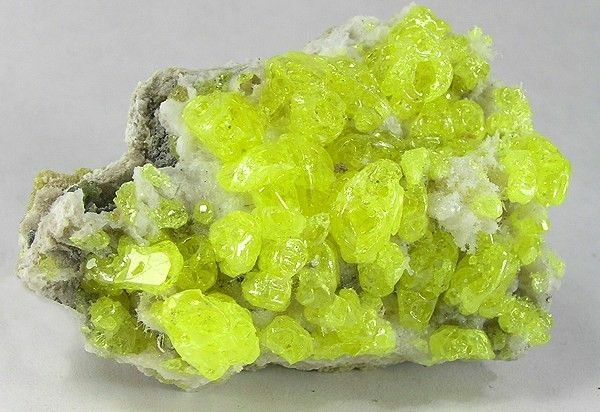 From a recent amazingly gemmy batch of specimens to come from this recent sulfur find. 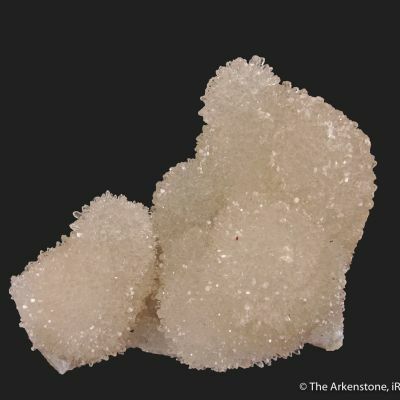 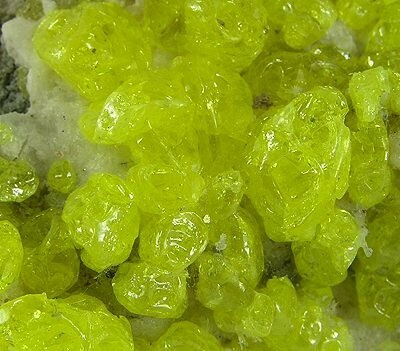 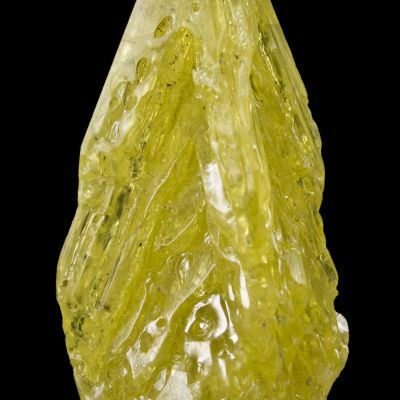 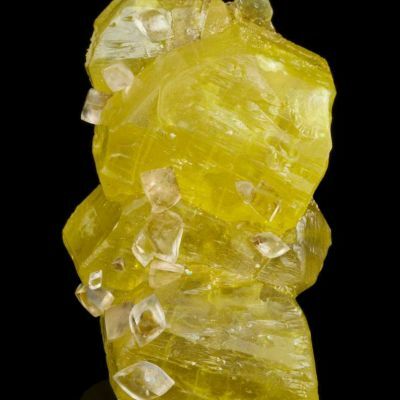 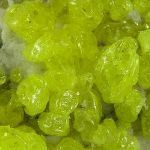 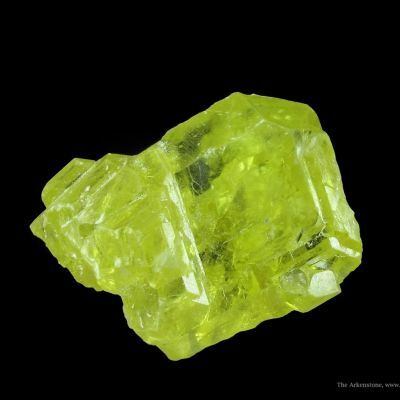 The finds of beautiful crystallized sulfur in Bolivia came at a great time, when old specimens from Sicily have become really hard to get and expensive, and only a trickle is coming from Russia. 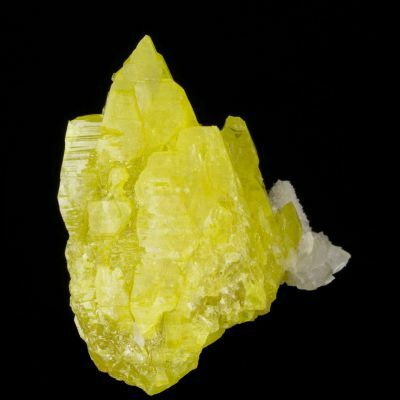 The crystals are not opaque bright yellow, but TRANSPARENT. 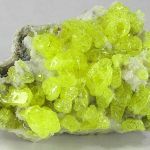 The camera does not come close to capturing them; they are really like the brightest yellow jewels you could imagine - way beyond Italian or Russian sulfurs in brightness and luster!